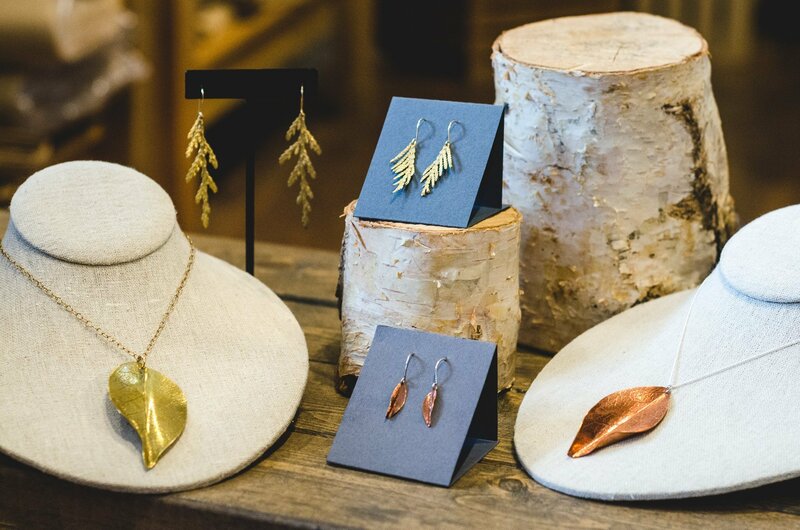 Alcove carries the beautiful, nature inspired jewelry from Zula Jewelry + Design. Here is how creator Urszula describes her work: “By collecting objects from nature such as; leaves, twigs, seeds, roots, and bones, then studying these shapes, I create wearable pieces that speak to my wonder and gratefulness of the natural world. I use the imprints of leaves to texture metal, I use the shape of bones to create structure for a piece and I use branches and roots to bring a new perspective to the admirer and wearer”.